Happy Saraswathi Pooja 2014. 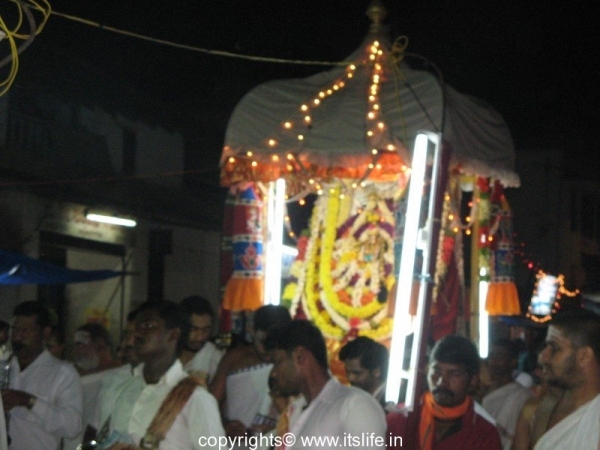 In Sringeri, Karnataka, during Dasara festival, the utsava murthy (procession idol) of Goddess Sharadamba (Saraswathi) is taken in a small chariot around the temple premises in the morning and evening. 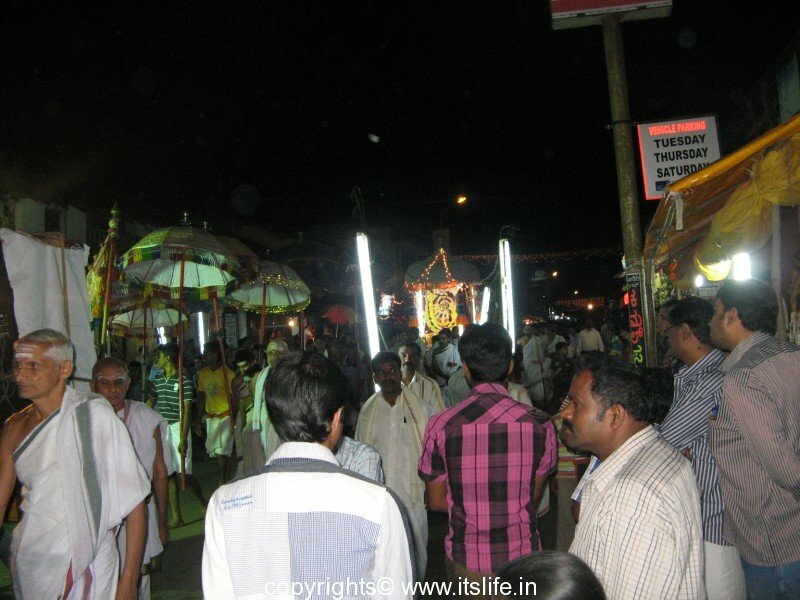 This is known as Goddess Sharadamba Utsava and many people congregate to witness the procession.